At $245 million, this is the most expensive home for sale in the U.S. The Bel-Air estate of late Univision billionaire A. Jerrold Perenchio is among eight homes publicly listed for $100 million or more in the Los Angeles area. The Bel-Air estate of late Univision billionaire A. Jerrold Perenchio will chart its next course on the public market. 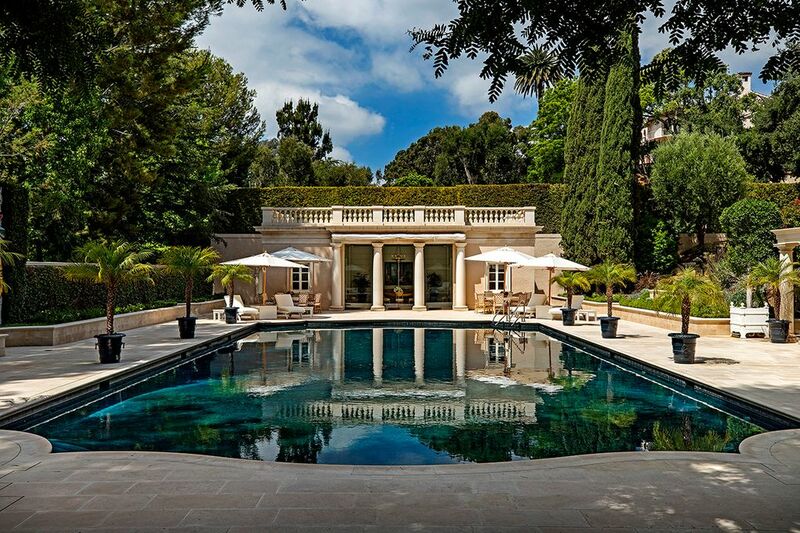 After being quietly shopped since last year as a nine-figure pocket listing, the French Neoclassical mansion known as Chartwell is now for sale in the Multiple Listing Service for the high-water price of $245 million. 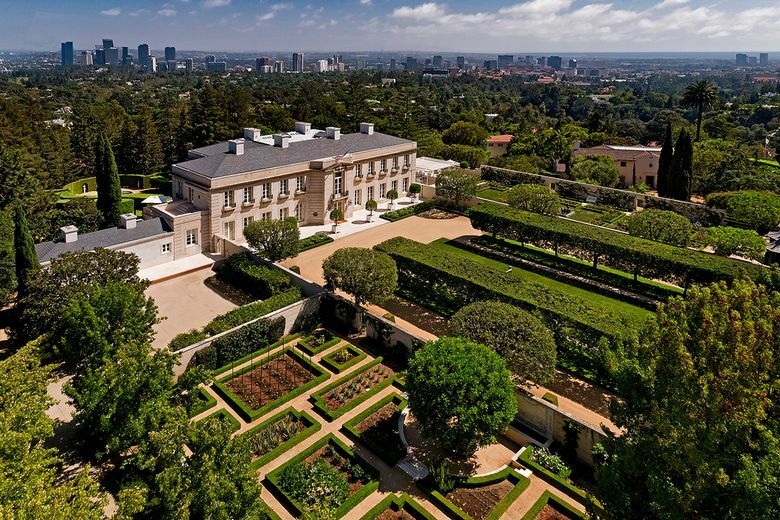 Now the most expensive home for sale in the U.S., the estate is among eight homes publicly listed for $100 million or more in the Los Angeles area. It’s on course to topple the Los Angeles County price record of $110 million, which was set in April when Peter Morton sold his oceanfront home in Malibu. Classic television watchers may remember the sprawling main residence from the credits of “The Beverly Hillbillies” sitcom. However, the property has long had its place among L.A.’s great estates. The 25,000-square-foot mansion, which dates to the 1930s, was designed by architect Sumner Spaulding and built for civil engineer Lynn Atkinson. Perenchio acquired the property and three contiguous parcels in 1986, becoming the estate’s third owner. Under Perenchio’s direction, the limestone-clad residence was enhanced and restored by designer Henri Samuel and architect Pierre Barbe. Evoking an 18th century chateau, the home boasts scaled formal rooms, a ballroom, a 12,000-bottle wine cellar and a paneled dining room. On the grounds, which encompass more than 10 acres, walls and hedges divide formal gardens, fields and specimen trees. A nearby guesthouse was designed by Wallace Neff, and the 75-foot swimming pool is accompanied by a pool house. There’s also a tennis court and a covered parking area for 40 cars. Perenchio, former chairman and chief executive of Univision, died in 2017 at 86. Since his death, Perenchio’s estate has listed and sold a number of properties, including two homes and land in Malibu. Another Bel-Air property hit the market in September for $21.5 million.